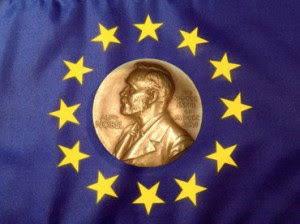 #USofEUROPE: "Six decades of peace and democracy in Europe"
"Six decades of peace and democracy in Europe"
"For over six decades contributed to the advancement of peace and reconciliation, democracy and human rights in Europe"
With this motivation, last Friday the Oslo academy decided the Nobel Peace Prize for the European Union. Many have criticised the decision as happened in 2009 for Barack Obama's Nobel. At that time, I agreed on that criticism since Obama had not proven yet to deserve such a prize. His administration had really little time to cope with world peace. One year was not enough either for him or any other one. I believe that on that occasion political marketing prevailed over reality. A good intention does not exactly mean a good action. It is a plus, of course. Especially after a decade of US politics inspired to Bush JR's "hawky" wars. But that doesn't make of Obama a Nobel Peace Prize. Now, many others criticise EU Nobel Peace Prize, as in 2009. Public opinion believes that the Oslo academy more than being a prestigious international body is turning into a political institution. But to be honest, more than once Oslo awarded Nobel Peace Prize to international organizations: from UNHCR and Red Cross to ILO. Surely, EU is not an international organization or anything comparable to Red Cross. But none can deny a fact, which is proven by history and well explained in the motivation. After the horrible massacres of WWII, Adenauer, De Gasperi, Spaak, Spinelli, Schuman and all EU founding fathers saw in the union of our continent the only way to peace. Even if nowadays democracy, human rights and prosperity are questioned somehow, we are not that far. We can do better, for sure, but we are on the right direction and people still need to be reminded about that. A Noble Peace Prize is a good choice! 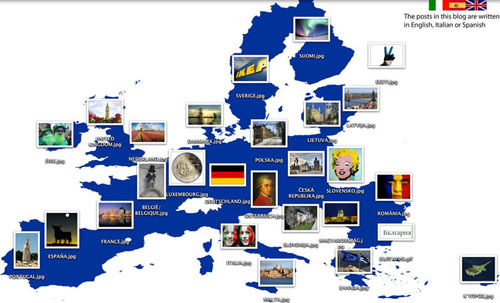 When will we have a European rating agency?